With over 1 million downloads, Chalk Pad is one of the best selling chalkboard drawing app in the App Store. Let your imagination run wild with Chalk Pad. Chalk Pad turns your iPad into a Chalkboard! Loaded with options and with beautifully rendered graphics. The color wheel gives you an endless selection of colors to choose from! ChalkPad isn’t just for drawing. 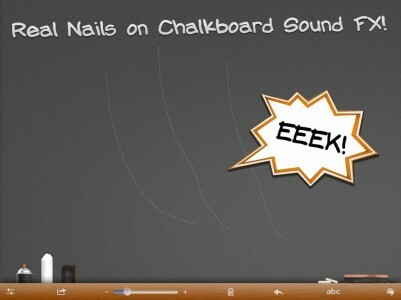 Have fun using with the screeching nail on a chalkboard sound effects. Chalk Pad is a perfect for leaving notes, playing games, or keeping children occupied having them draw pictures, all without a mess! - NEW! Spray Paint Option! - Use 3 Fingers to Simulate Nails on Chalkboard Sound FX! 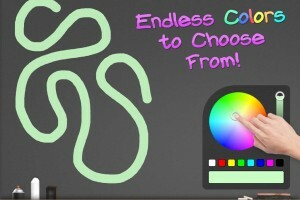 - Choose from an Unlimited Number of Chalk Colors Using the Color Wheel! - Easily Change Line Thickness! - 3 Different Backgrounds including Dry Erase Board! - Save, Email, or Post Drawings to Facebook! - Air Print Directly to your Printer! 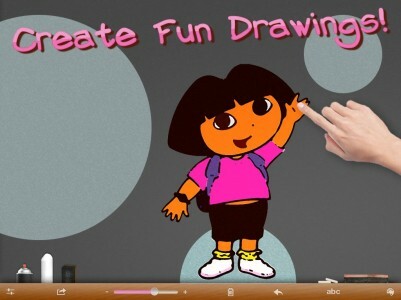 My kids just love drawing on the iPad, this app is perfect for them! Lots of options, love all the colors!